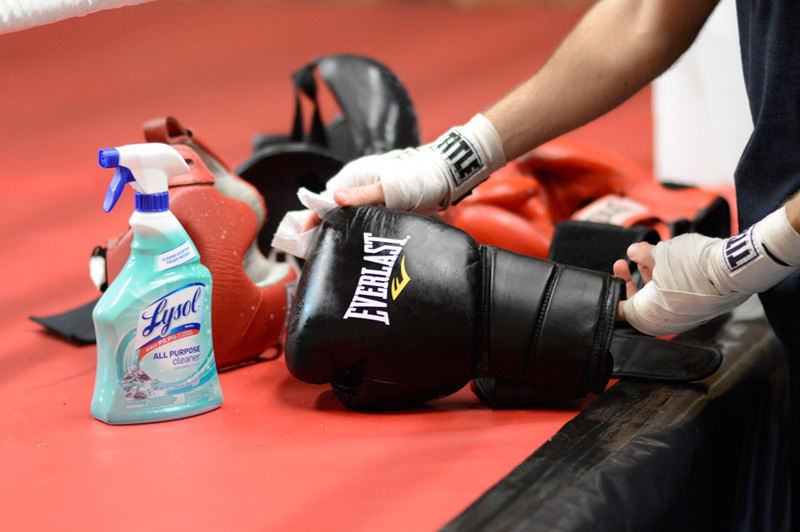 One of the most overlooked aspects in boxing gyms is keeping gear clean and safe. 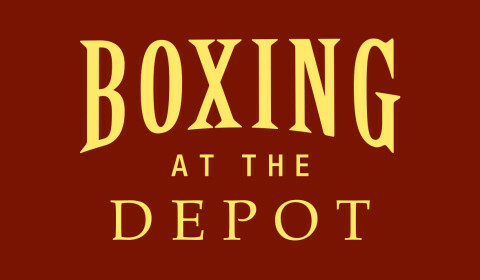 Preventing the spread of diseases and germs is stressed at Boxing at the Depot. We want to provide a safe and clean environment to train in. These are the following methods we use and encourage you to use when cleaning your gear. Spray the outside and inside with an antimicrobial disinfectant such as Lysol then wipe clean with a rag or paper towel. Let it dry. Use a separate damp rag or paper towel you’ve run under water to wipe off the gloves to prevent skin irritation. Air dry with the gloves open to prevent mildew and odor. If your gloves begin to smell you can spray the inside with Febreeze. It’s important not to leave your gloves trapped inside a gym bag. Let them air out regularly. Hand wash in a sink with dish washing soap. Or let them sit and soak in soapy water for 20 – 30 minutes. Dry in the dryer (once again a wash bag is recommended for this as the wraps will become tangled and unusable without one) or air dry by hanging the wraps on an elevated surface. Use a separate damp rag or paper towel you’ve run under water to wipe off to prevent skin irritation and disinfectant from running into your eyes. Air dry to prevent mildew and odor. Once again it’s important not to leave your equipment trapped inside a gym bag and let it air out regularly. By following these simple steps you can prevent the spread of diseases and germs and keep your equipment smelling fresh. This design is wicked! You certainly know how to keep a reader amused. Between your wit and your videos, I was almost moved to start my own blog (well,almost…HaHa!) Fantastic job. I really loved what you had to say, and more than that, how you presented it. Too cool! The thoughts you express are really awesome. I hope you will write some more posts. I’m extremely impressed with your writing skills and also with the layout on your weblog. Either way keep up the nice quality writing, it is rare to see a great blog like this one today..
You are so interesting! I don’t believe I have read a single thing like that before. So wonderful to find someone with a few genuine thoughts on this topic. Seriously.. thanks for starting this up. This website is something that is needed on the web, someone with some originality! Hey There. I came across your site using msn. This really is an incredibly well written article. even more of your useful info. Thank you for the post. I am going to definitely comeback.